This is Precious. It will cross from the Atlantic to the Pacific side of the United States, tweeting its stats as it rolls along and even makes assessments like commenting on the weather, how rough the terrain is, as well as speed. You can check out this video to give you an idea how it works. 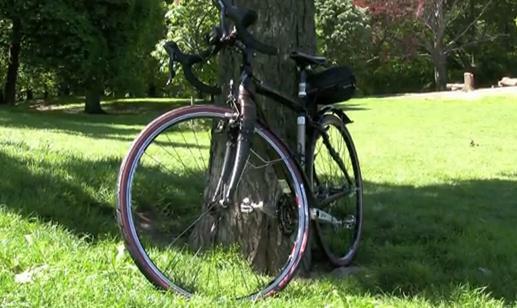 The bike’s aim is to raise money for Livestrong. That is why it endured cold nights, being chased by dogs, and being honked by vehicles. Follow Precious on Twitter or on its official website and donate money over here. It will probably reach the West Coast in a month or two, so stay tuned.